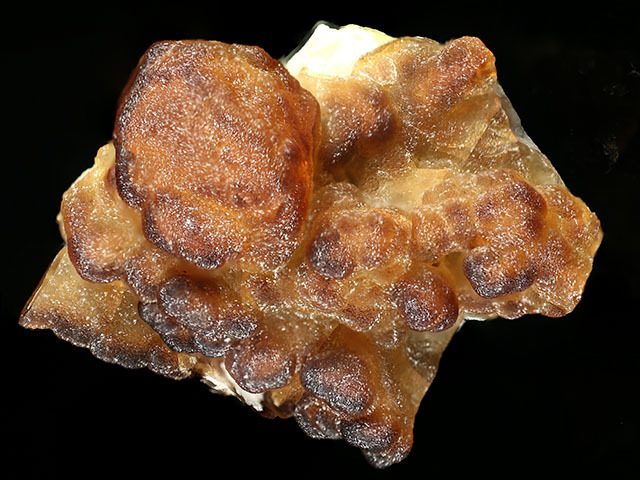 Melanophlogite is a curious form of silica containing organic molecules. Melanophlogite is not technically a polymorph of silica (such as quartz, tridymite, cristobalite) as the guest molecules are essential. Chemists classify melanophlogite as a clathrate, where guest molecules reside in cages in the crystal structure yet remain essentially unbonded (Gies, 1983). 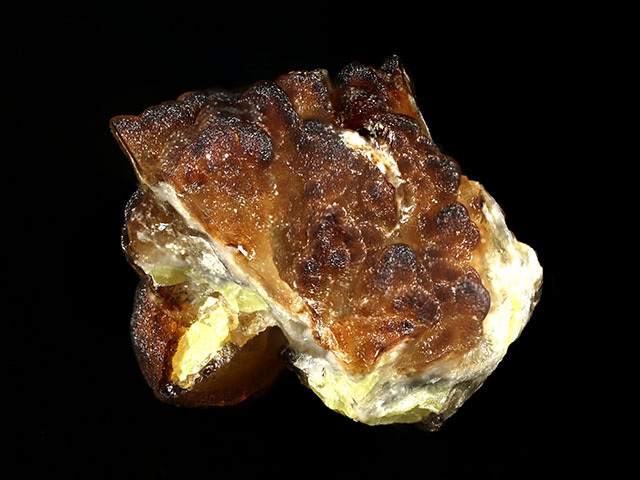 When heated the organic components combust and darken the mineral; the name melanophlogite derives from Greek roots melano for black and phlog for fire (Skinner & Appleman, 1963). Melanophlogite here forms a continuous druse of minute crystals coating sulfur crystals to 2.2 cm. 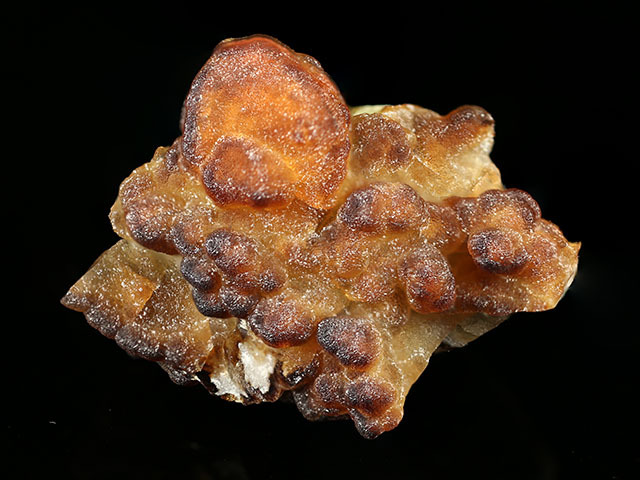 The color is cinnamon brown, noticably darker along the crystal edges of the underlying sulfur. This is a well arranged specimen, with a prominent sulfur crystal peaking at its center. There is microchipping on the melanophlogite druse, attributable to a century of specimen handling. This however does not distract from its display potential. Former Bally Museum (Schönenwerd, Switzerland) specimen.